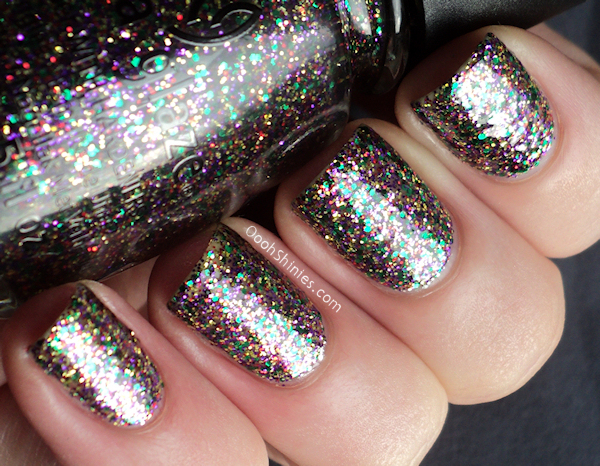 These kind of glitters are something you should see in real life, it's near impossible to show how sparkly it is! 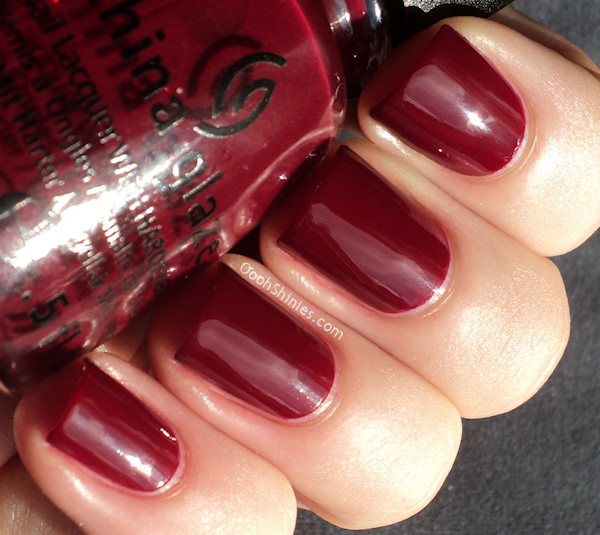 As the name says, a deep berry shade, which is perfect for Fall as well! 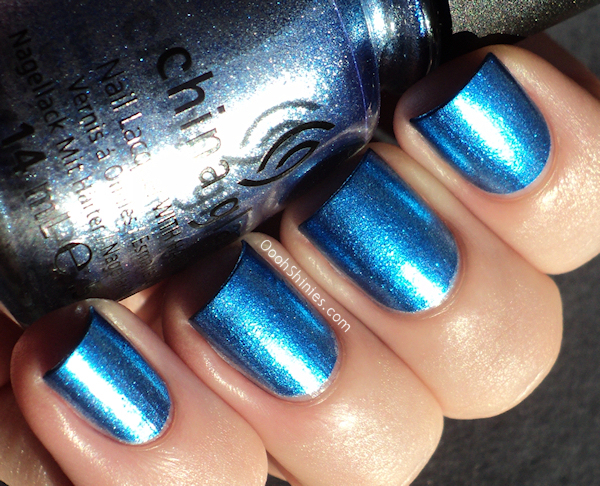 This was 2 smooth coats, no top coat. 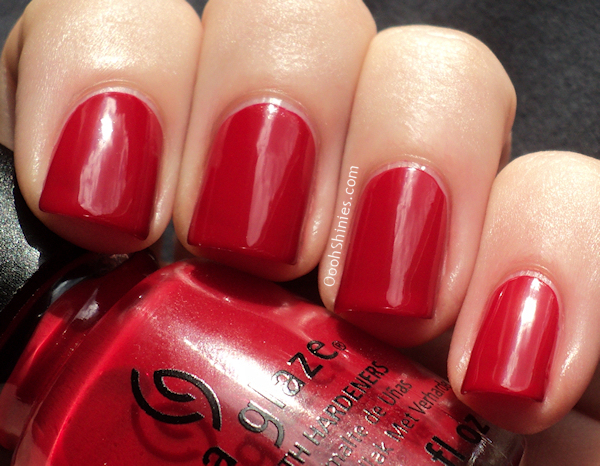 Gorgeous, shiny red that applied in 2 easy coats. Nothing special, but if you're looking for a nice red, have a look at this! The visible nail lines aren't visible in real life. 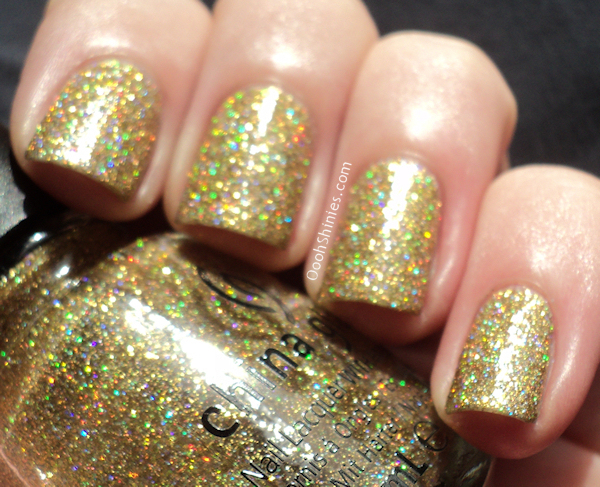 Green, gold, red and purple glitter in a clear base. 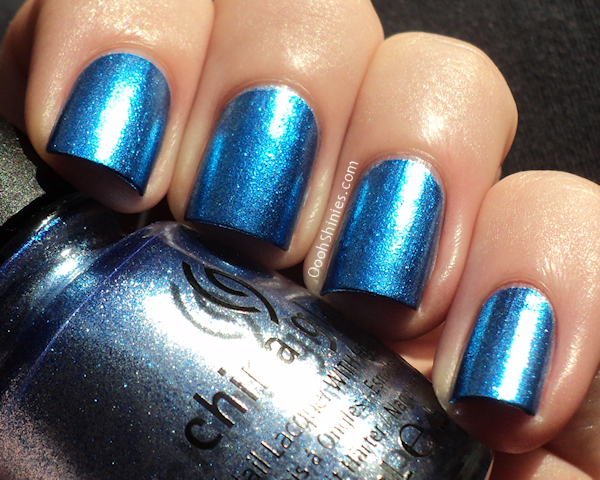 I'm wearing 3 coats with top coat here. 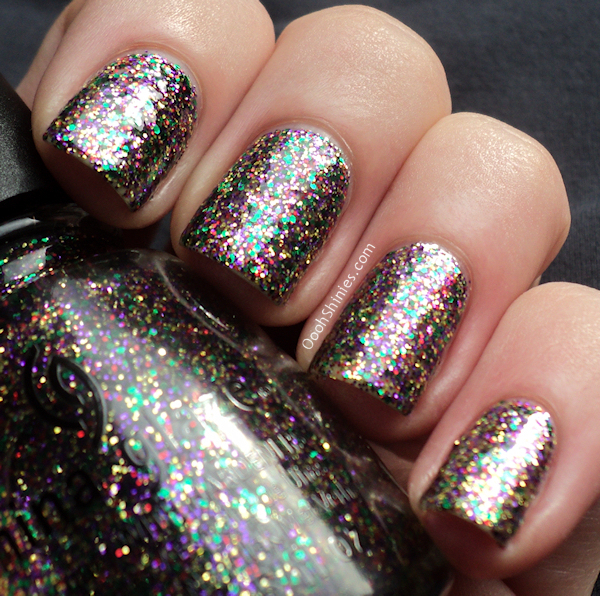 I applied the first coat gently, after that I had a rough base on my nails and could easily apply the other coats, without glitters piling up on my tips. 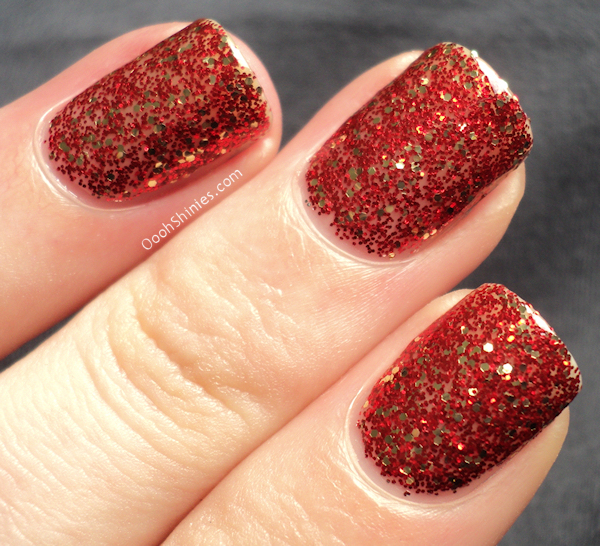 Pure Joy is different sizes gold and red glitter in a clear base. I used 4 coats here with top coat. As you can see, it just doesn't work so well on itself! 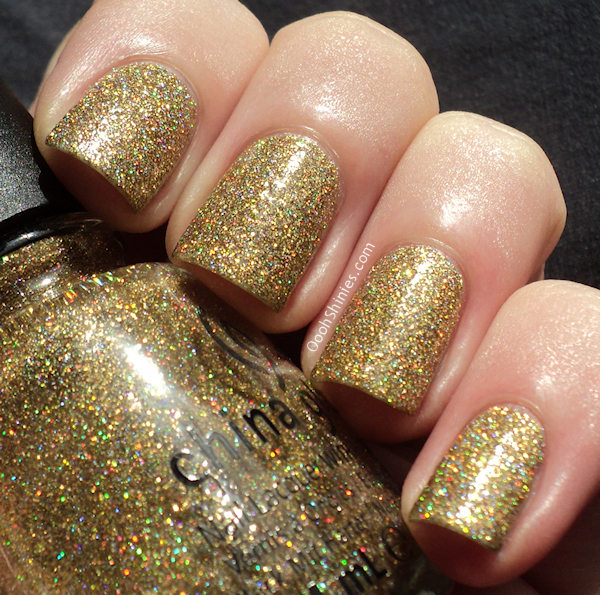 It applied the same as Glitter All The Way, I didn't have any problems with it. Not loving the bald spots, although it's so sparkly it's not so visible. 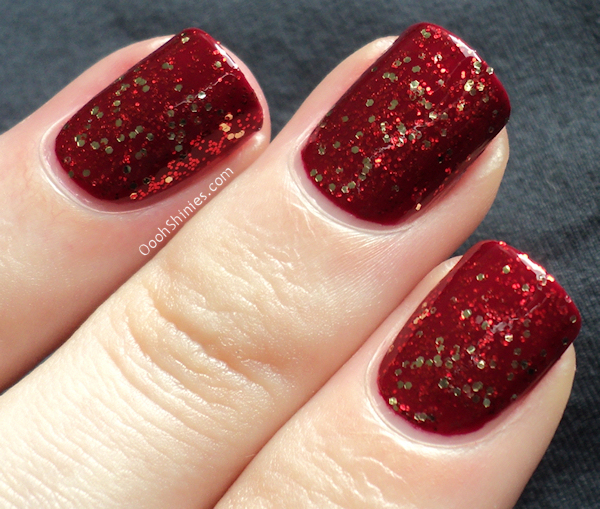 But layered it looks a lot different, yummy Christmas nails! 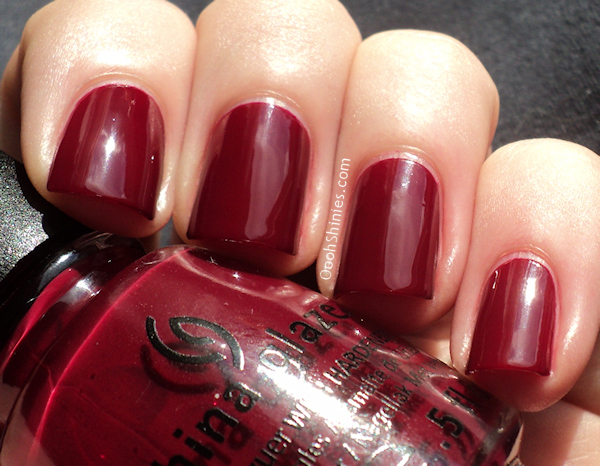 1 coat of Pure Joy on Merry Berry (above) and Red Satin (below), with top coat. 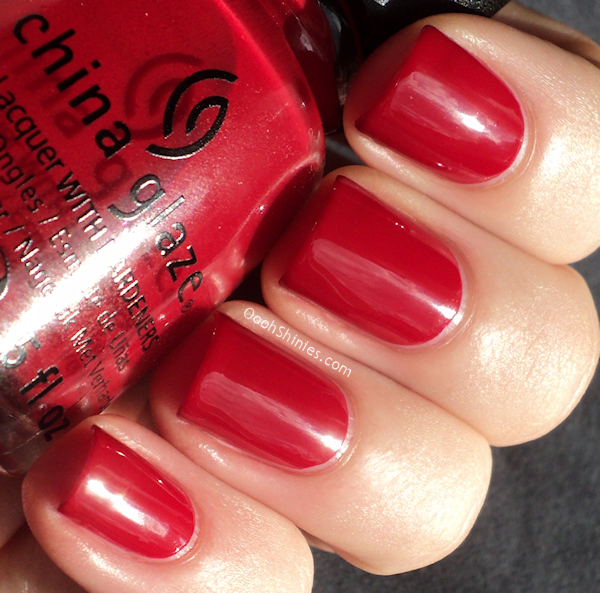 For me personally, China Glaze had other collections that gave me more of a Christmas feeling, I would've loved a bit more green here. 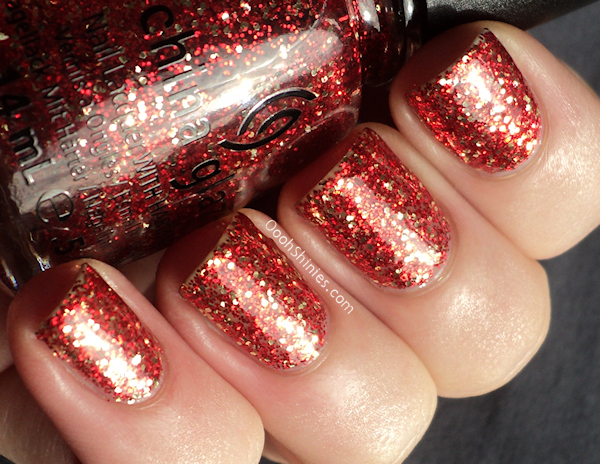 But all in all, there are some Christmas colors and some that'll be perfect for New year's Eve, and there are some original glitters as well. 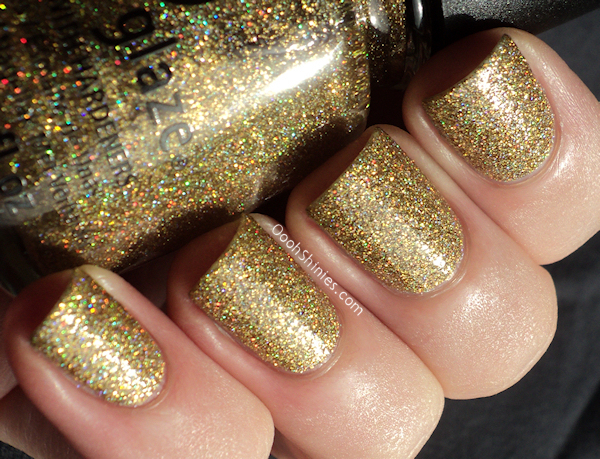 So I think it's another great China Glaze holiday collection! 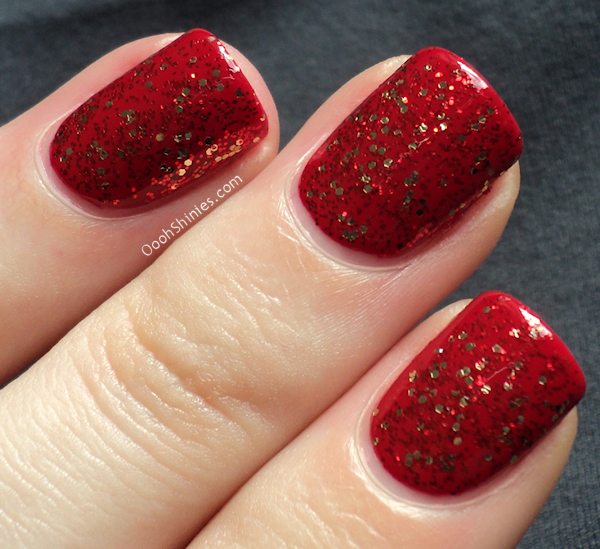 My favorite of the ones I showed here is the bottled Christmas-feeling, Pure Joy, layered on a red. What do you think of the collection, and are you getting any of these? Tried out some new polishes!